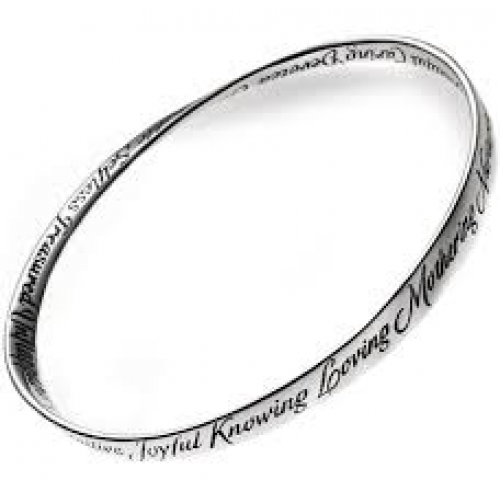 This modern sterling silver bracelet features poignant words about Mom. This .925 sterling silver bangle bracelet is finely engraved. Engraved on the strip are the A-Z of mom: "Awesome Beautiful Caring Devoted Enduring Forbearing Giving Heartwarming Intuitive Joyful Knowing Loving Mothering Nurturing Organized Patient Quotable Reliable Selfless Treasured Unflappable Vivacious Wonderful eXemplary Yielding Zealous".